Materials: Indian ink, newspaper Financial Times, size of each sheet: 285x330 mm. Seedman — two triptychs done with Indian ink on a financial newspaper, which convey in six conceptions of a seedsman linear expressions of curve, circle, and sphere. The seedsman — the sun's courier. The seedsman takes the sun's modus vivendi, seeding light about itself, as his own modus operandi, giving life to seeds. The seedsman throws seeds on the ground like the sun offers its rays of light to everything that lives. The sun sphere appears similar in its modus operandi to the seedsman's palm. Seeds fall from his palm, giving life to new sprouts. The curve of the seedman's arm enters the circle of seeds, which lie in the unified space of а (canvas) round binding or a hoop box; with a half-sphere handful he scoops up the seeds, brings the curved palm outside the box and throws, propagates the seeds in an arc around himself. Moving along a harrowing line, the seedsman continues his circular motions, with the curve of his arm throwing the seeds onto the arable's loosened ground. The seedsman's sphere of activity — the whole width of the arable land, the environs of his power in which he conducts his action. The businessman, an enterprising man of the second decade of 21st century, is akin to the seedsman. The businessman is a seeder of meanings, which are ready individually to attain their own image, their own life, given proper financial infusions. The businessman's circle of thought is a space of money rotating in time, expressed in numbers from financial columns of newspapers. The businessman, like the seedsman, returns thoughtforms of solid business images processed by creativity back to the world. 1992 — graduated from USSR State Institute for Advanced Training in Cinematography. Worked at the Animation Studios Soyuzmultfilm in Moscow. 2001 — graduated from the Peoples' Friendship University, Engineering Faculty, Master Degree. 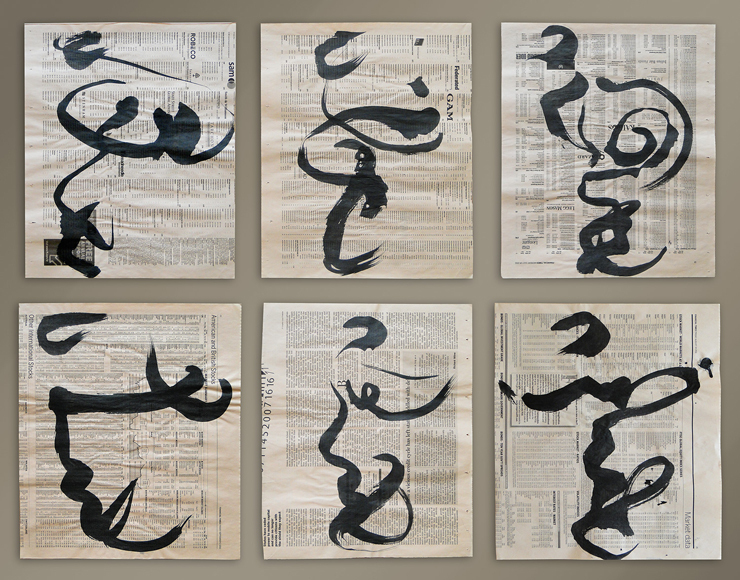 2007 — won the first place in the Calligraphy Competition under chairmanship of Japanese calligrapher Ryuseki Morimoto. August 2001, January 2002, March 2002 — poetry publications in Yunost' (Youth) literary journal.